The Great British Bake-off signature bakes seem to be increasing in complexity as the weeks go by – which is as it should be I guess. 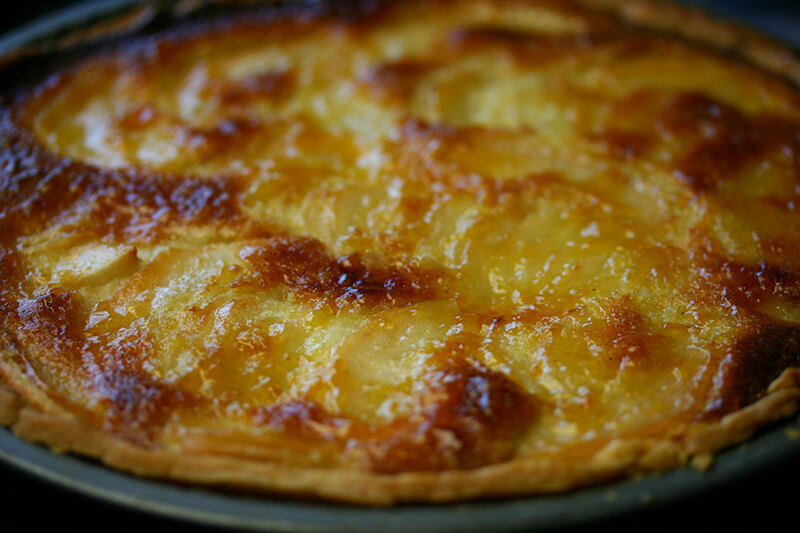 While I’m not a confident pastry maker, I found this pear frangipane tart pretty simple to make. My only quibble was that after taking the trouble to arrange the pear slices in a lovely fan pattern, they sunk beneath the surface of the almond mixture when baked. In a large bowl, rub the diced butter into the flour with your fingertips. Add just enough water to bring the mixture together into a ball. Press it into a flattened disk, wrap in cling film and chill for half an hour. Roll out the dough into a large circle on a lightly floured surface. Line a loose bottomed 9″ pie tin, trimming the edges neatly. Fill with tin foil and baking beans. Bake ten minutes, then remove the foil and beans and bake for another ten minutes. Cream the butter and caster sugar. Beat in the eggs, vanilla and lemon zest. Stir in the ground almonds. Scrape the mixture into the tin, and spread evenly. Arrange the pear slices on top of the filling. Brush with melted butter and sprinkle with caster sugar. Bake for 40-45 minutes, or until the filling is fluffy and golden. 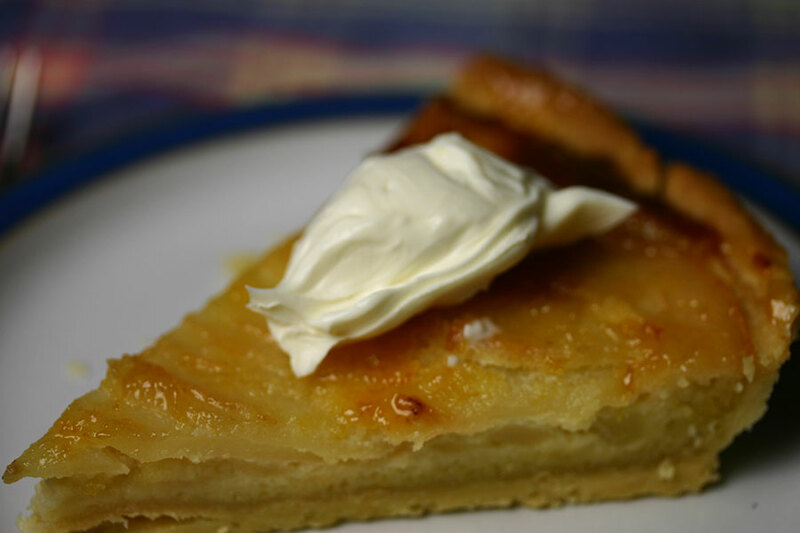 Give the apricot jam a little zap in the microwave, then spread over the tart while it is still warm. Wow! I’m definitely going to try this one.